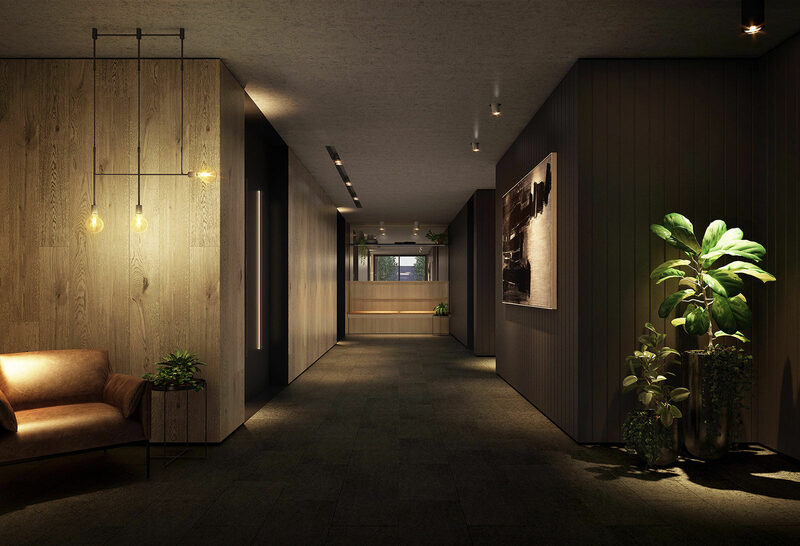 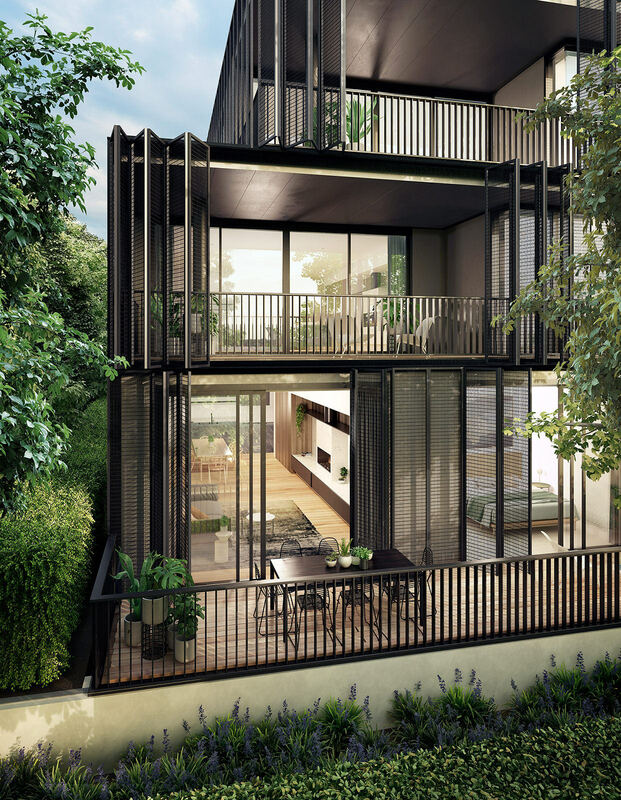 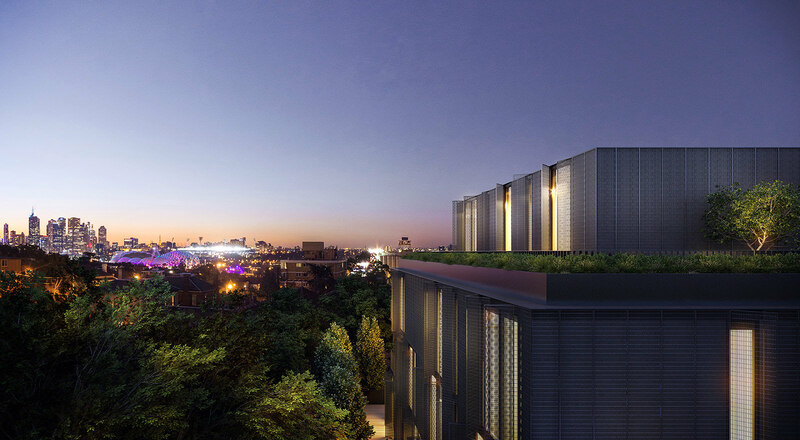 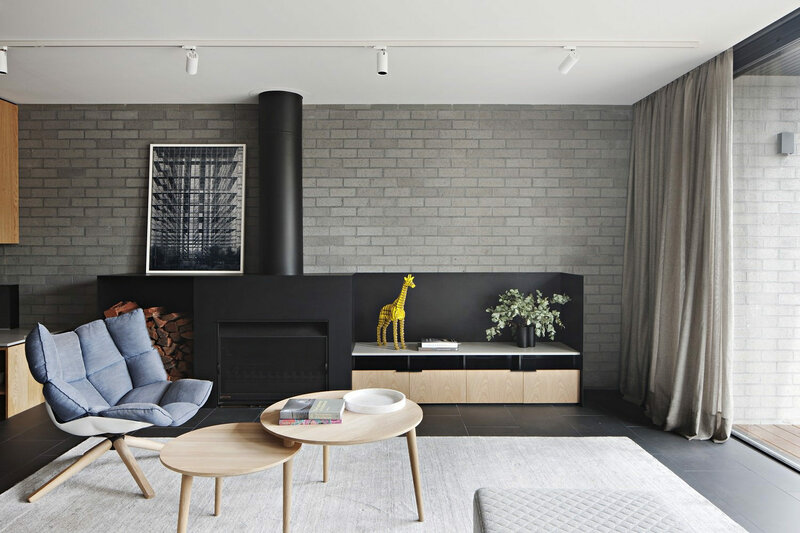 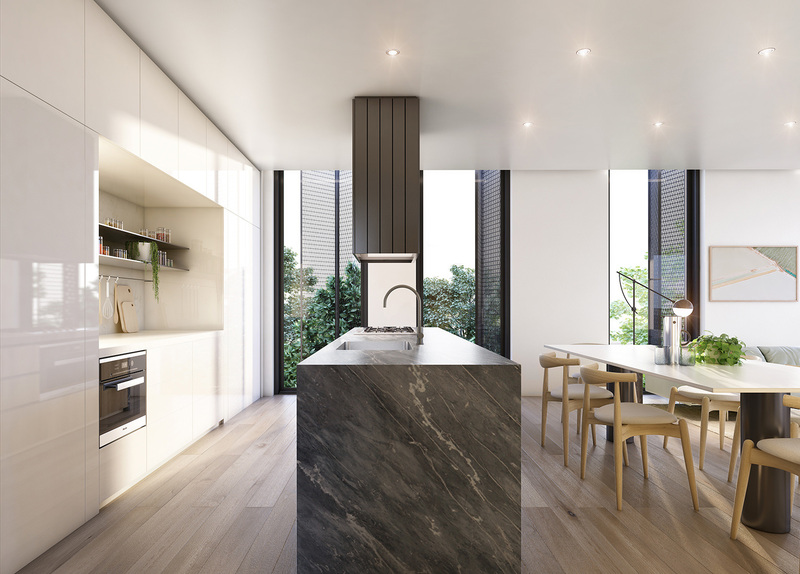 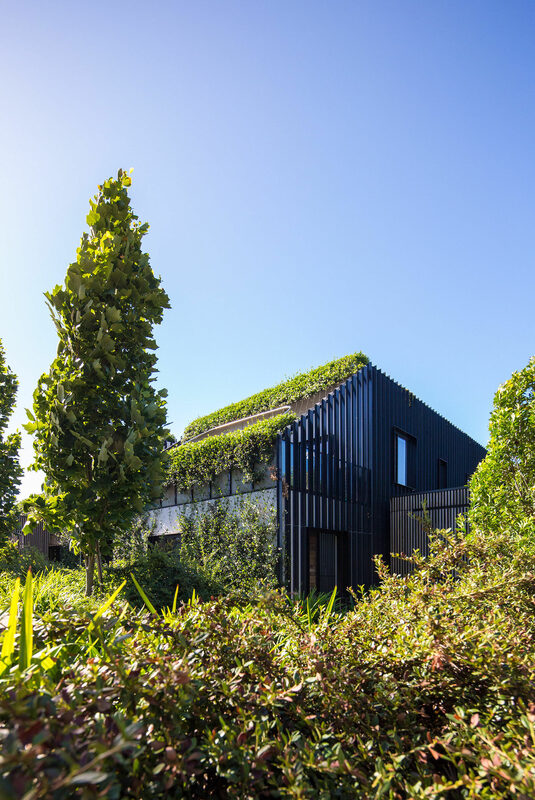 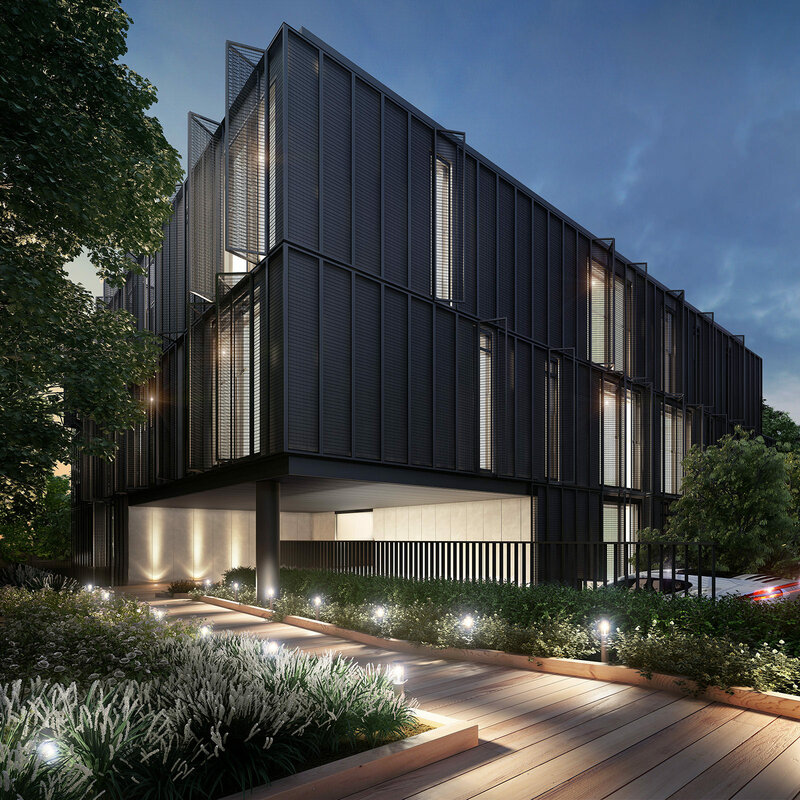 This bespoke development comprises just seven large penthouse style apartments, located within landscaped grounds, in the heart of South Yarra. 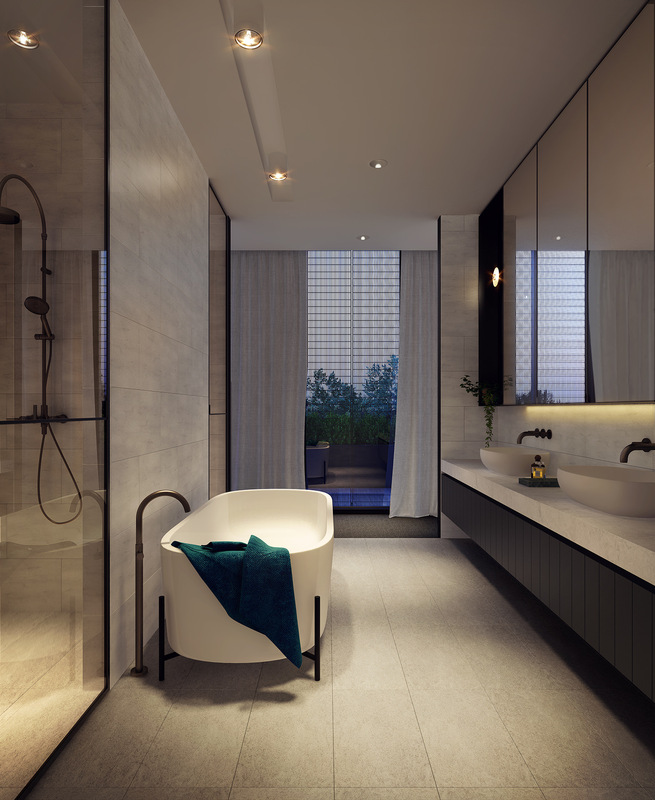 The uncompromising quality of the design extends to the signature fittings and gallery style lighting. 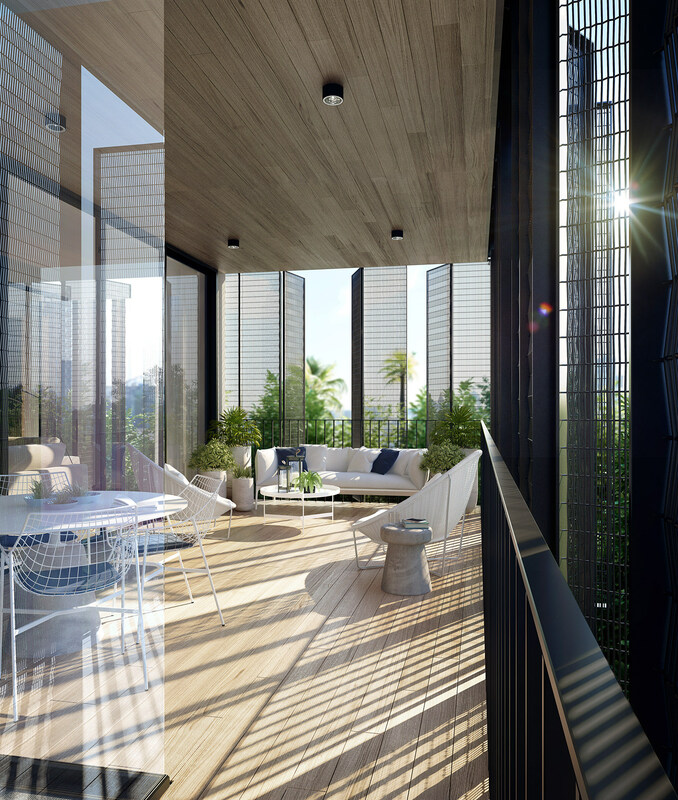 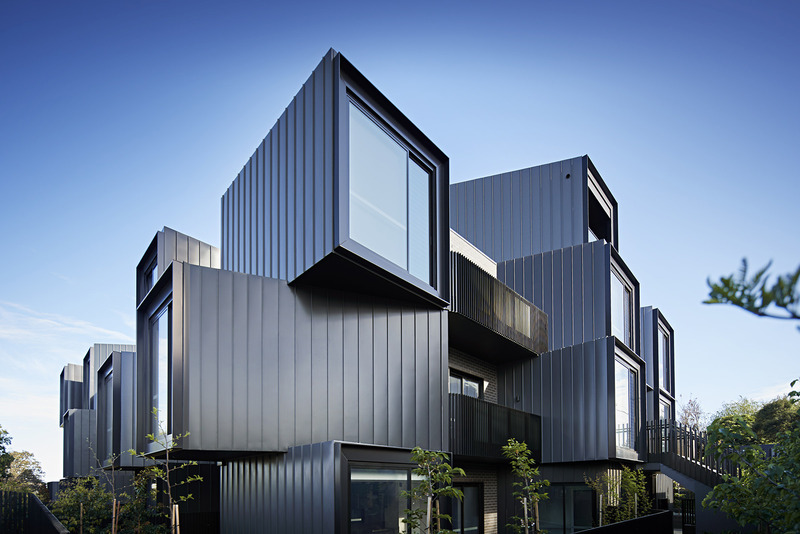 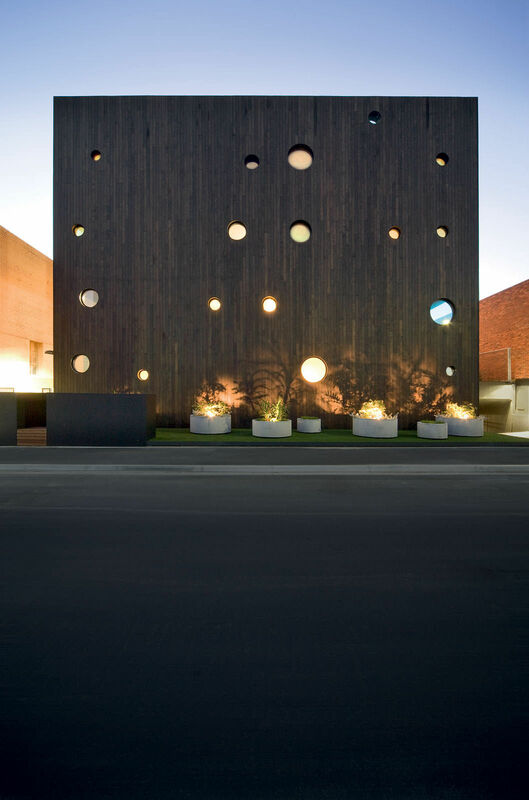 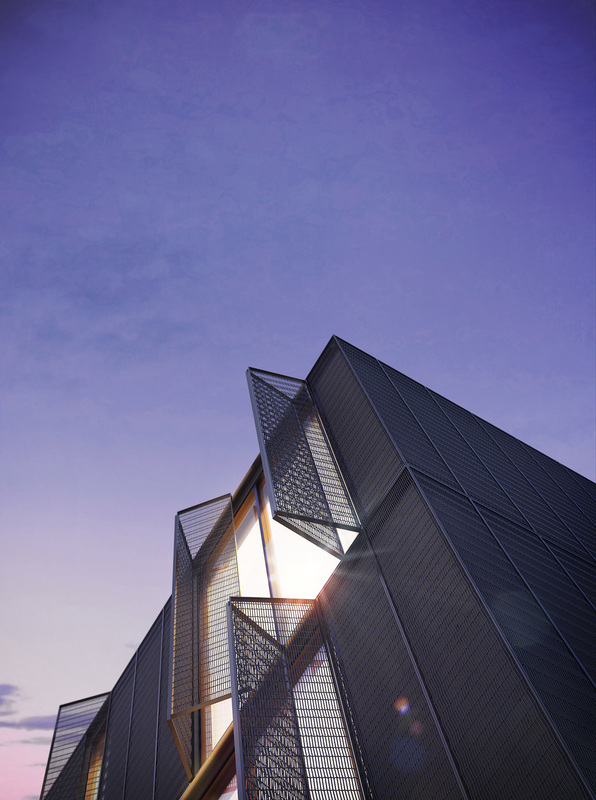 Each apartment opens onto a deep, covered terrace with intricately woven steel mesh screens for privacy. 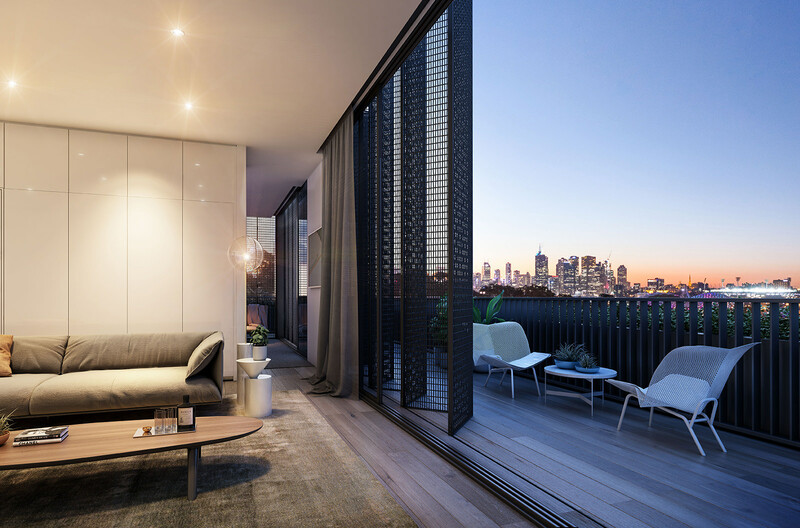 These screens are fully retractable to reveal city views over the surrounding treetops.